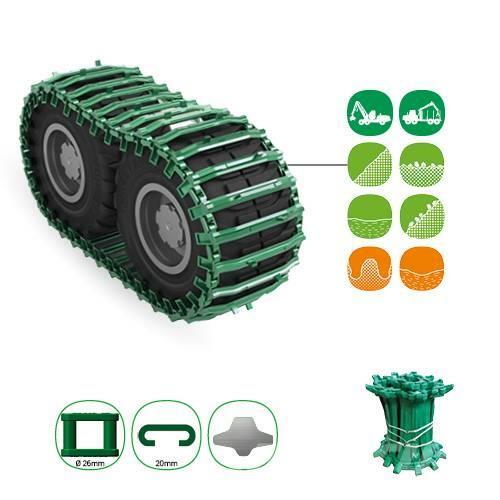 Additional Information Universal form of a profile, which enables an excellent traction and stability of the machine on various types of the foundation. It is appropriate for steep and stony terrains and also for mud and snow. • Heat-treated material, which reduces the wear of tracks. • Option of Ø22mm and Ø30mm connectors.